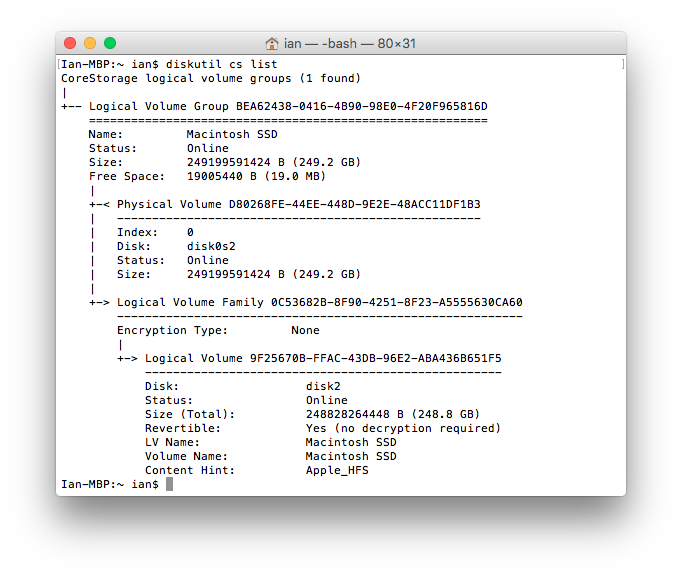 Layered between the whole-disk partition scheme and the file system used for a specific partition is a new logical volume format known as Core Storage, introduced in OS X Lion. Core Storage makes it easy to dynamically allocate partitions while providing full compatibility with existing filesystems. In particular, Core Storage allows in-place transformations such as backgrounding the full-disk encryption used by File Vault 2.